The fabulous Mandira of Ahaar tagged me with a cool Three Things Meme. These memes are nice because it makes you sit down and really think about what you like and dislike. Go over to Mandira's and see her choices. Then do one of your own! 1. Dr. Strangelove, Or How I learned to Stop Worrying And Love the bomb. 2. Jack Lemmon in Some Like It Hot. Honorable Mention: Absolutely Fabulous, Wedding Crashers. 1. Certain politicians in office right now. 2. Viruses and bacteria that make me sick. 3. Really good cake decorating skills. 3. A big pile of magazines. Now, I tag everyone who would like to do this! Last week, the lovely Rosa of Rosa's Yummy Yums tagged me for a My Top Ten Recipes of 2006 meme. I was surprised that this was so difficult for me. I was unable to decide until I just asked myself, "What would I like to eat again in the next two weeks?" That made it much easier. So, here we go. 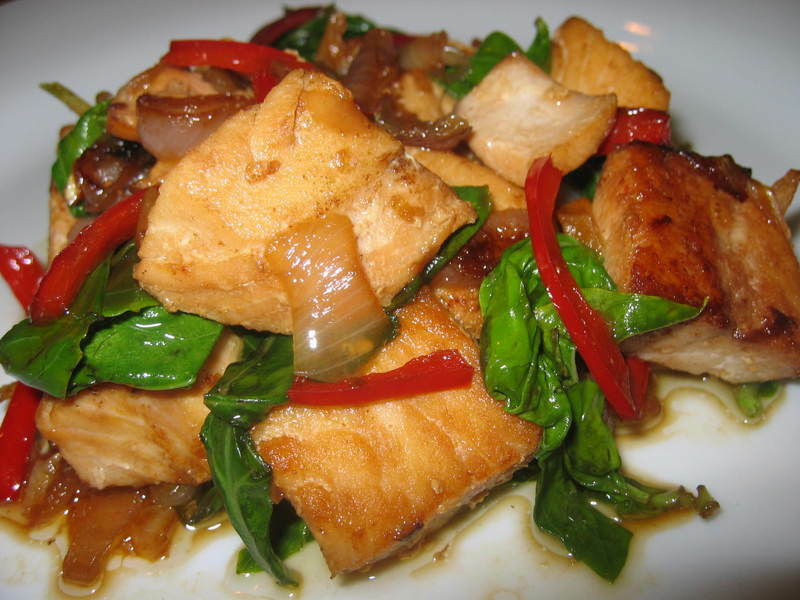 These are the recipes I would love to taste again in the near future. 1.) I've thought about this Ginger Chicken so many times in the last month. 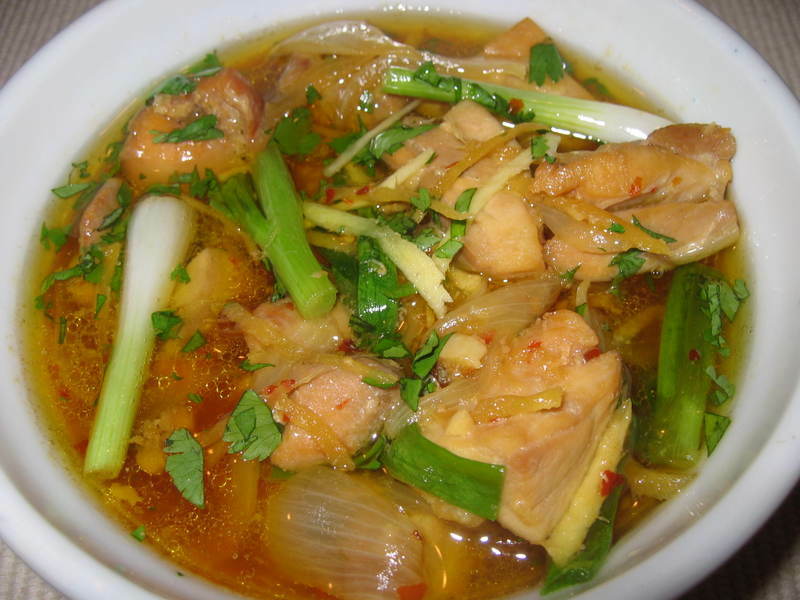 It's easy to prepare, and warm and soothing with its lavish amount of fresh ginger root. I loved it. 3.) 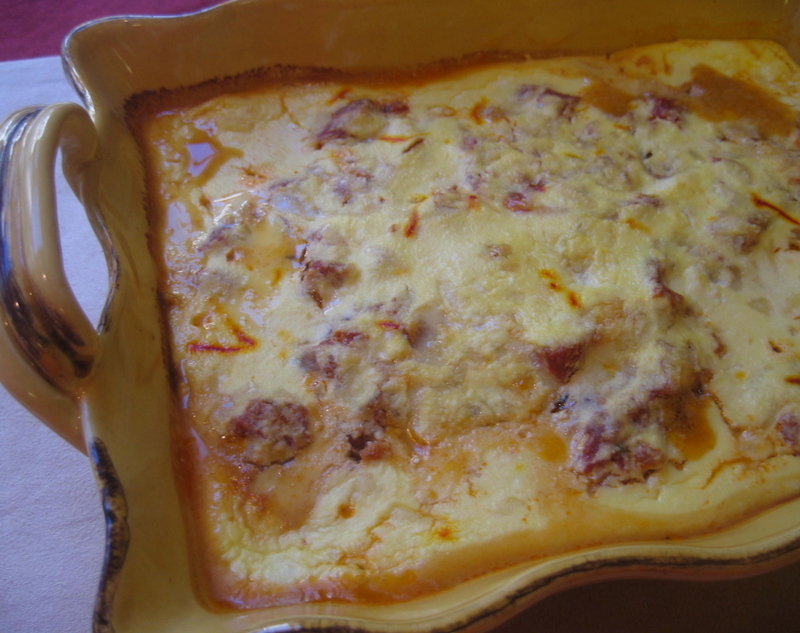 This Eggplant Gratin With Saffron Cream seemed popular with most people. It's one of my favorite Deborah Madison recipes. 5.) I'm flat crazy about this Nigella Lawson version of Asian Spiced Kedgeree. 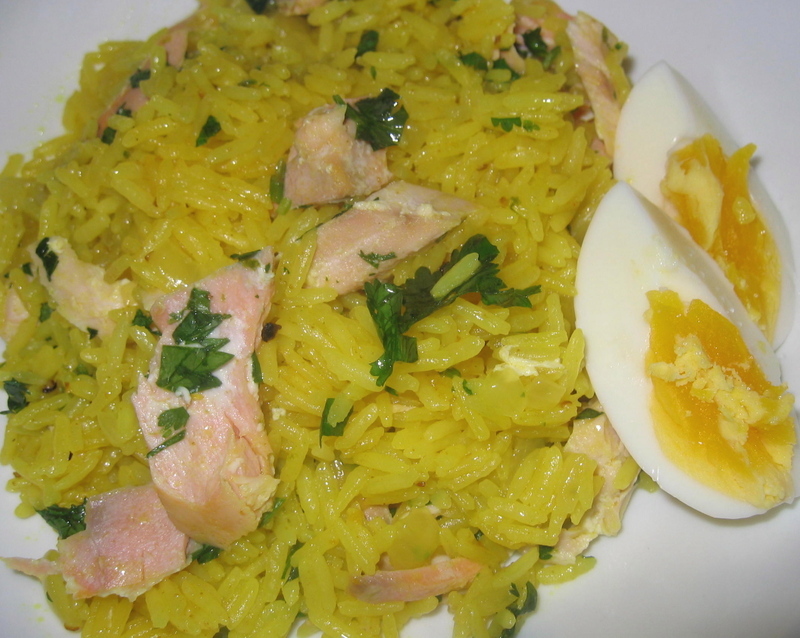 If you like Kedgeree, try this version. And if you've never had Kedgeree, do yourself a big favor and have it sometime. 6.) This Polenta Gratin With Spinach and Wild Mushrooms looks a bit fancy, but since it's made with store bought polenta, it's easy to fix. 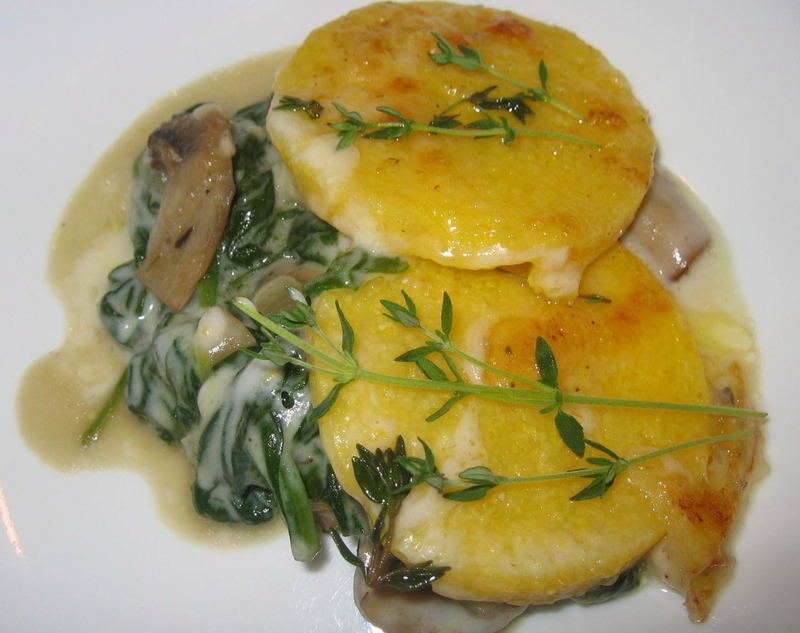 I usually don't like that type of polenta, but this recipe works wonders with it. 7.) 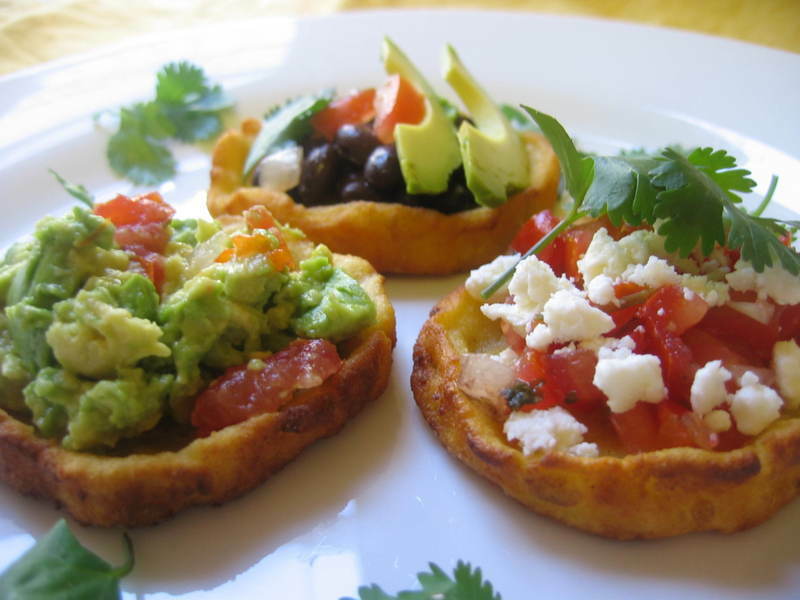 I love Sopes (Masa Boats)! They taste great and are lots of fun to make. If you want to see an even better version, see Aria's take on these. 8.) 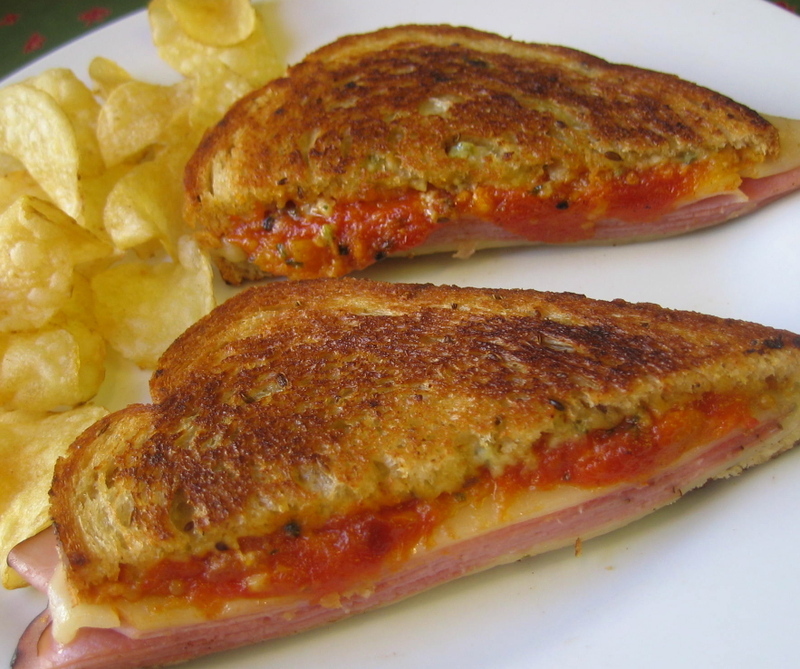 I fell madly in love with this Mustard's Grill recipe for Smoked Ham and Jarlsberg Cheese Sandwiches With Basil Mayonnaise And Tomato And Apricot Chutney. In particular, the tomato and apricot chutney is amazing. 9.) 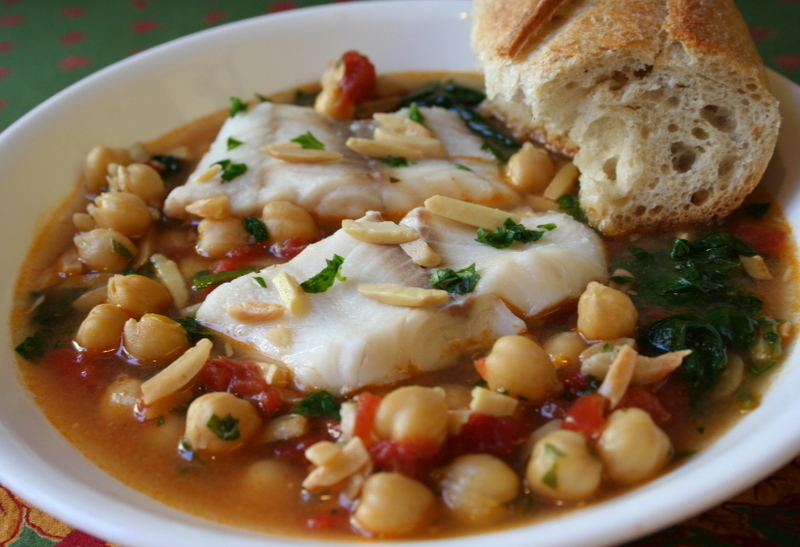 A recent dish, this Spanish Cod Soup, With Spinach, Chick-Peas, And Parsley is a dish I want to try again soon. 10.) 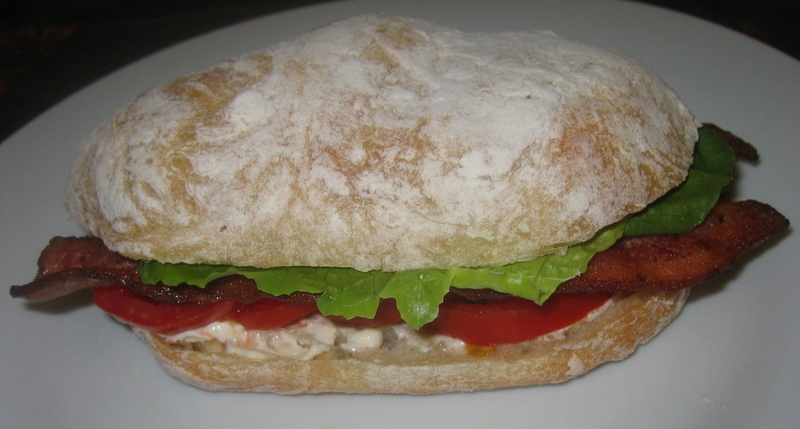 And last, but not least, during this cold, windy winter, I would love a BLT made with a freshly picked tomato. Summer can't come fast enough for me. Now, wouldn't some of you like to share your 10 best recipes with us? Please do! Kristi at Interrupted Wanderlust, mom of the Incredible Isabella, tagged me for this meme. I'm very grateful that she did, because it forced me to track down all my cookbooks, which were scattered around in different rooms. Note to self: Get organized! OK, here goes. I'm completely shocked to discover that I have 92 cookbooks. I keep finding more stuffed in drawers, or in the closet. I found my old battered copy of LaRousse's Gastrominique on a shelf with some old windchimes that I never use. (I never use LaRousse's Gastrominique, so I guess that makes sense.) At least half of my cookbooks came from my mom, so I had help with my collection. 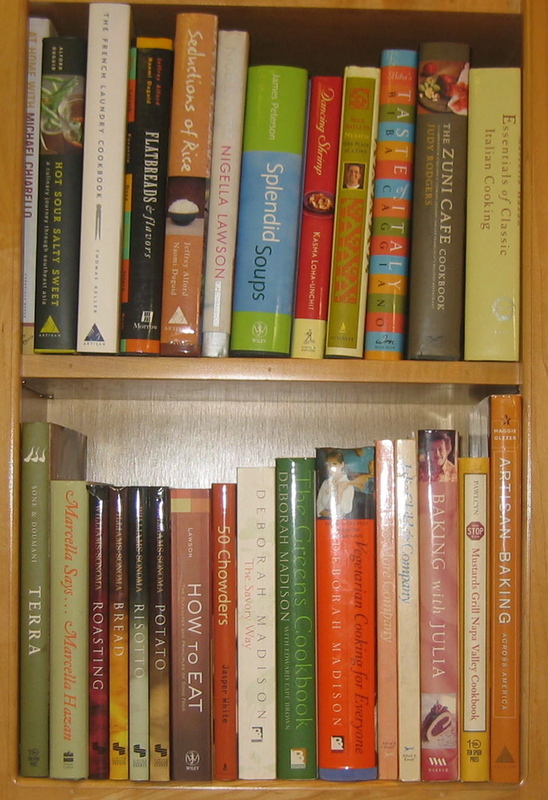 My core group of cookbooks are in my kitchen in a little book shelf, (which you can see pictured above). These are all books that I use as inspiration, entertainment, and sources for good recipes. Ages ago I was tagged by CookieCrumb of I'm Mad And I eat and Julie at Kitchenography with this meme created by Angelika of The Flying Apple. 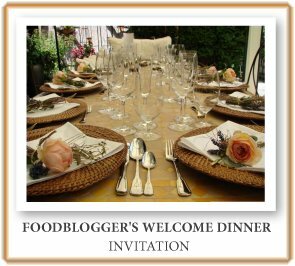 Angelika asks Which Menu Would You Serve Blogging Friends For A Welcome Dinner Upon Their First Visit to Your Home? This is not about choosing a favorite meal or dish (at least that is my take on it) meme. 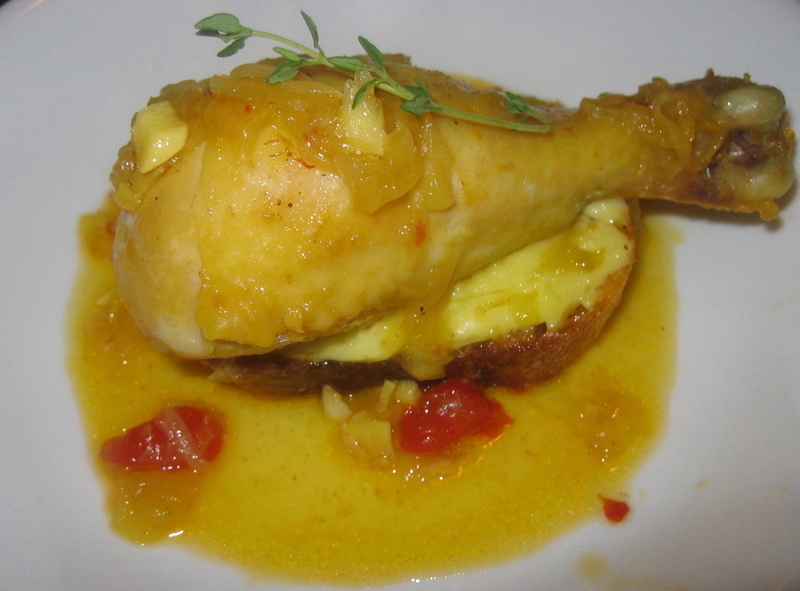 Rather, it asks us to describe a sort of signature menu revealing our personal cooking style and culinary preferences. This set me to thinking for several days and I realized that I don't have a cooking style or preference. If other people can spot one, please let me know. 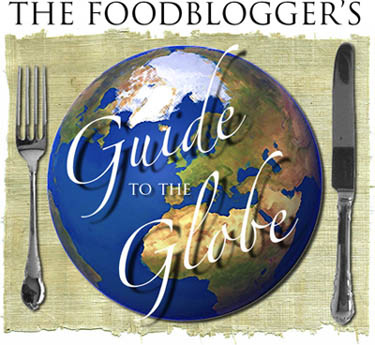 I grew up watching my mother prepare meals from a variety of cookbooks containing recipes from around the world. She tried to master them all and her efforts gave me a broad appreciation of food. I realized that when I cook, I do a lot of it by whim, by what appeals to me at the moment. And a lot of things appeal to me. When I prepare a meal for a dinner party, I first consider my guests. Will there be people there with diet restrictions? Do they enjoy a particular cuisine? Once that's settled in my mind, I scan a zillion cookbooks and annoy my friends with endless discussions about possible recipes. Finally, it all comes together. I didn't scan any cookbooks this time, or discuss it with friends. This is what feels right at the moment. Julie at Kitchenography tagged me for a meme devised by Melissa over at The Travelers Lunchbox. Inspired by a BBC poll of 50 things to eat before you die, Melissa has whittled the question down to a more manageable query for her fellow bloggers. What five foods have you eaten in your life that you think everyone should eat once before they die? At first, it seemed difficult to narrow my choices down to only five foods, but I soon realized that five very predictable (for me) choices had rushed to the fore in my mind. It's been so hot, I lost any desire to cook. Plus, my aunty Scotty fell and broke her hip Monday night. So, I've been hot, sticky, and distracted. 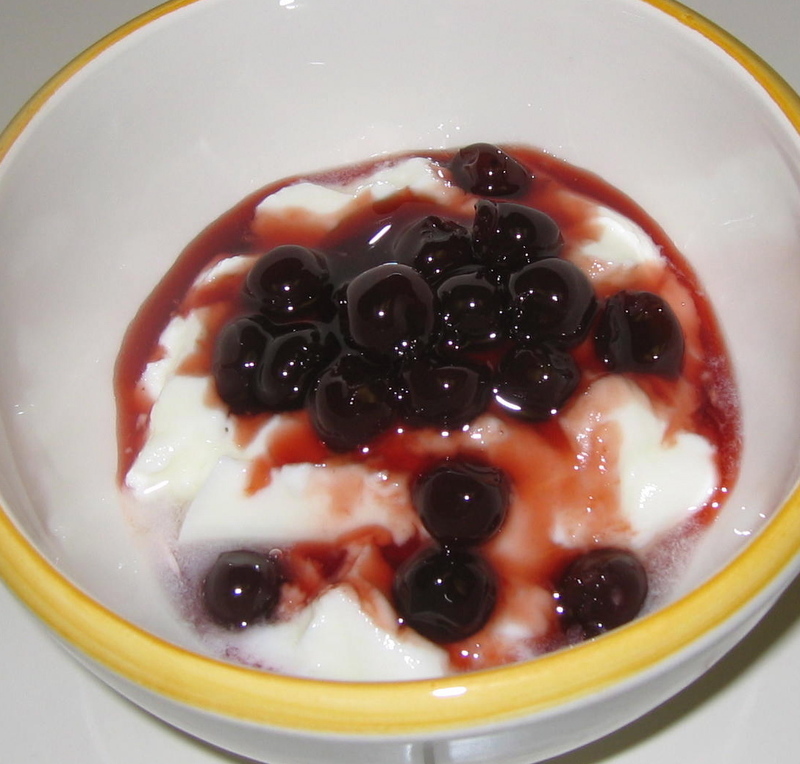 My meals yesterday were tomato sandwiches, yogurt, and half a jar of Agrimontana cherries. I'm trying to motivate myself to plan some sort of menu for the next few days, but it's slow going. Ages ago, the lovely Spicehut tagged me with a 10 Foods I Miss The Most meme. After much delay, here's my list. Maybe doing it will inspire me to start cooking again. Making this was always an event, with us shelling as much as 40-60 pounds of shrimp. We had teams of people shelling for hours, as my mother made the roux and chopped the vegetables for the stock. She always made a huge canner full of the gumbo, in order to feed all the people who lusted after it and showed up at our house like vultures spotting a fresh kill. She died almost 10 years ago and I still can't make gumbo as good as hers. And I mean Jay's Original Potato Chips, not the ruffled kind or chips tricked up with fancy flavors. I sometimes dream about those extremely thin, almost lacy potatoes chips I ate when I was a teenager in Illinois. Last year, I made this tart with tomatoes I picked from my garden. 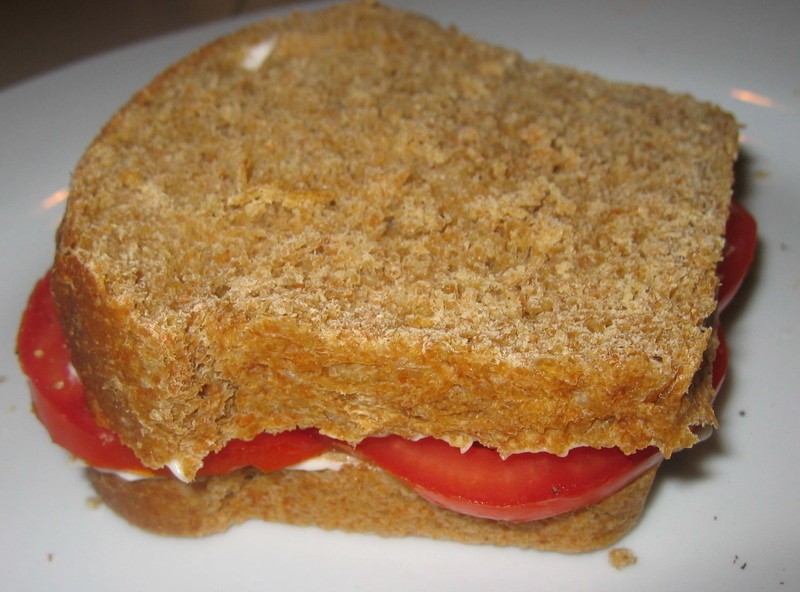 It was so good, I still think about it, and look forward to making it again when I have vine ripened tomatoes. The picture was taken before I baked it, when it was easier to see the four different types of tomatoes I used. Unfortunately, after it was baked it was hard to distinguish them from each other. Rosie, of the fabulous Bitchin' In The Kitchen With Rosie tagged me with a Favorite Foods meme and vine ripened tomatoes is the number two choice on my list below. Go over to Rosie's blog and check out her list. She'll make you laugh and hungry all at the same time.